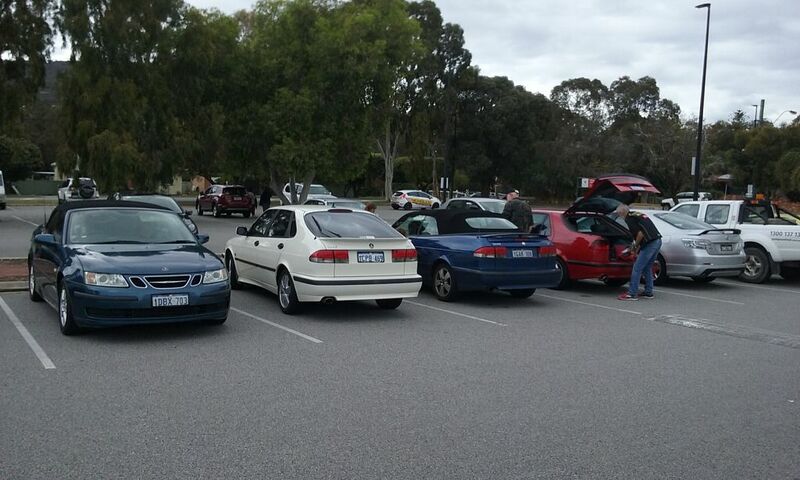 The SAAB club WA event for October was our bi-annual run to Albany to visit members there. 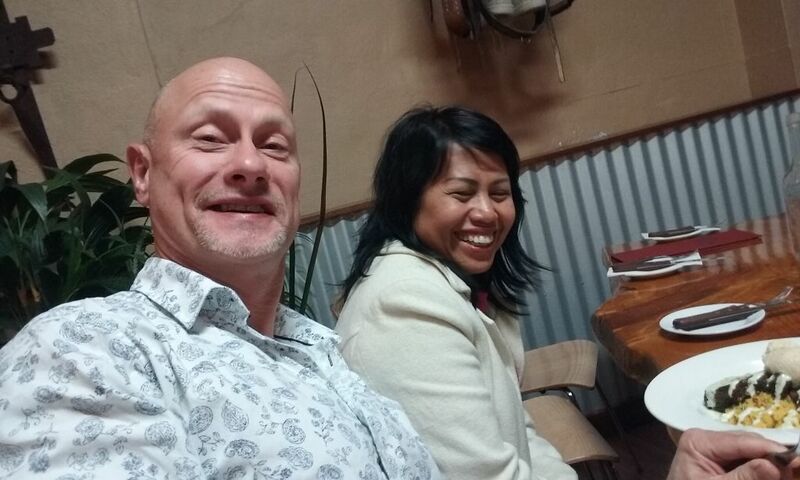 We met at Dome cafe in Kelmscott for breakfast and coffee and were able to greet new members Ian, Muriel, Shakiya and Stevie. Sean and Sermi arrived in Sean’s new acquisition, a dark blue 9 3 convertible and Neville and Rena arrived in Neville shiny red 9000. The convoy set off at 8:30 headed by Roger and Pauline in Pauline’s 2002 9-3 hatchback. 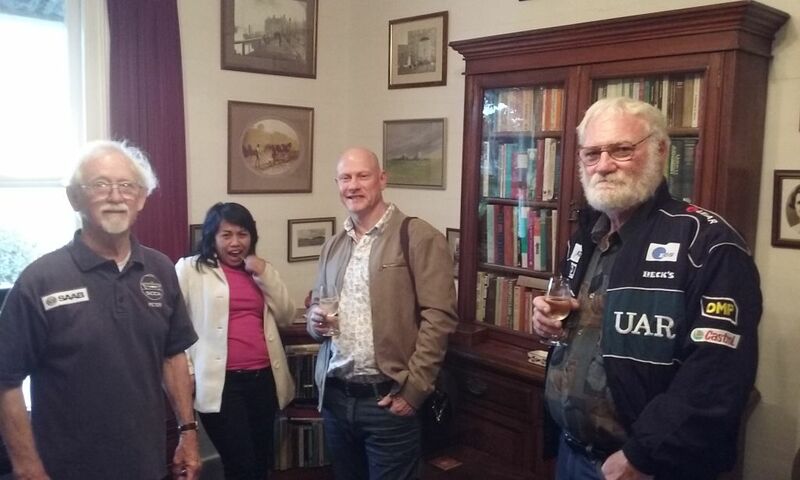 The first stop was Williams where we admired paintings by famous artist Len Zuks and other Woolshed type arts and crafts, after pies and coffee we were of to Gilbert’s winery which was closed, as we found out later, because of the death of the owner’s father. 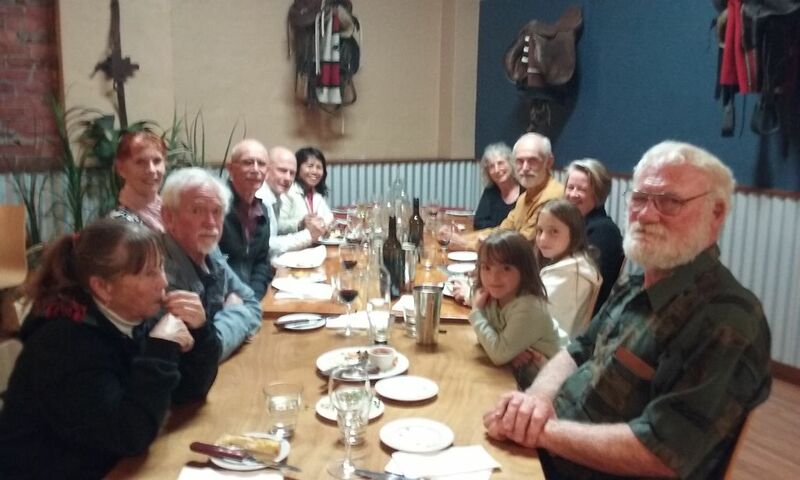 Neville and Rena stopped at Plantagenet winery for lunch while Ian and family found a bakery at Mt Barker. We all eventually settled into our accommodation at Dolphin lodge on Middleton beach. At 6:30 pm a minibus took us to Peter and Sue’s 1890’ house in the centre of town where we renewed our friendships, from there we walked to Rustlers steak house for a hearty meal then the minibus took to have a quick look at the light show on Mt Clarence. The next morning Ian and Roger enjoyed a breakfast at the three Anchors cafe on the beach. It was a great weekend which we hope to replicate in two years’ time.